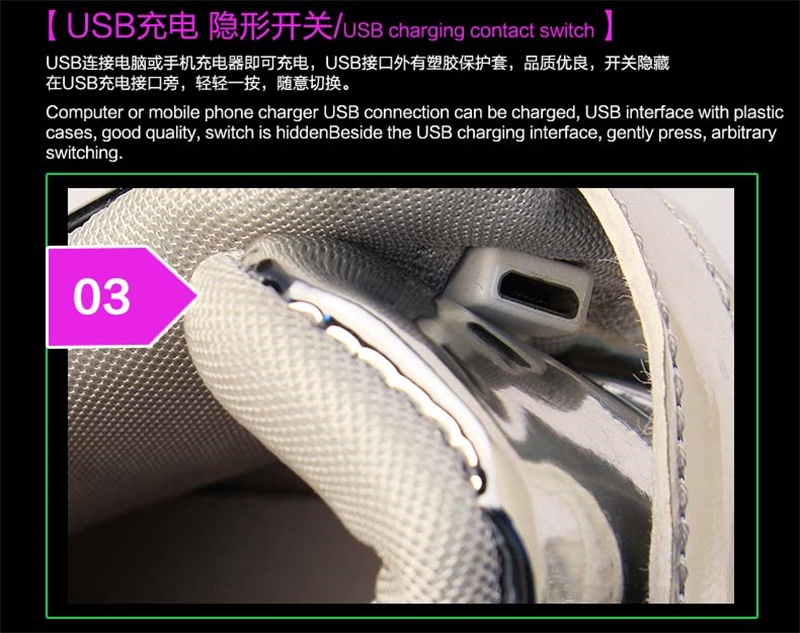 1.Switch Instruction: Hidden switch button beside the charging port. 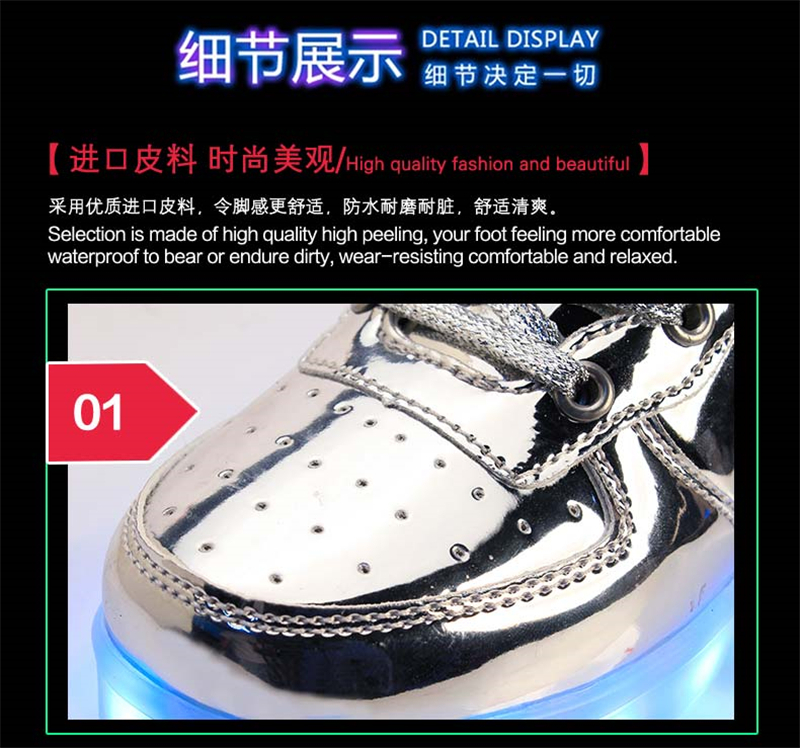 Press it to switch on. 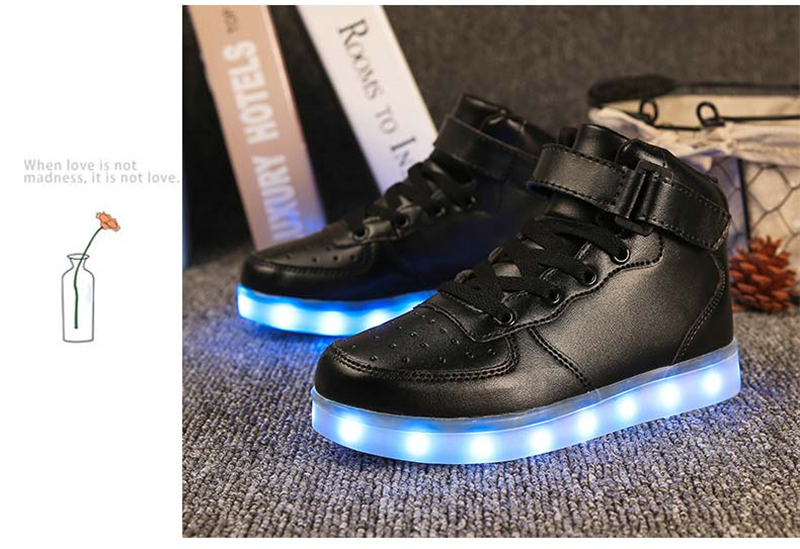 With each press,it changes to another light mode. 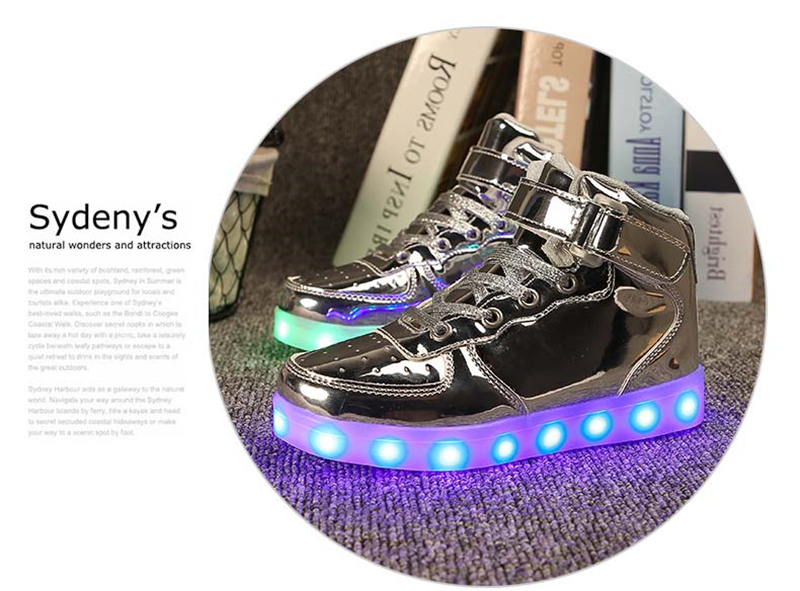 Press the switch for 12 times to turn the light off , or keep pressing for 3 seconds to turn off the power. 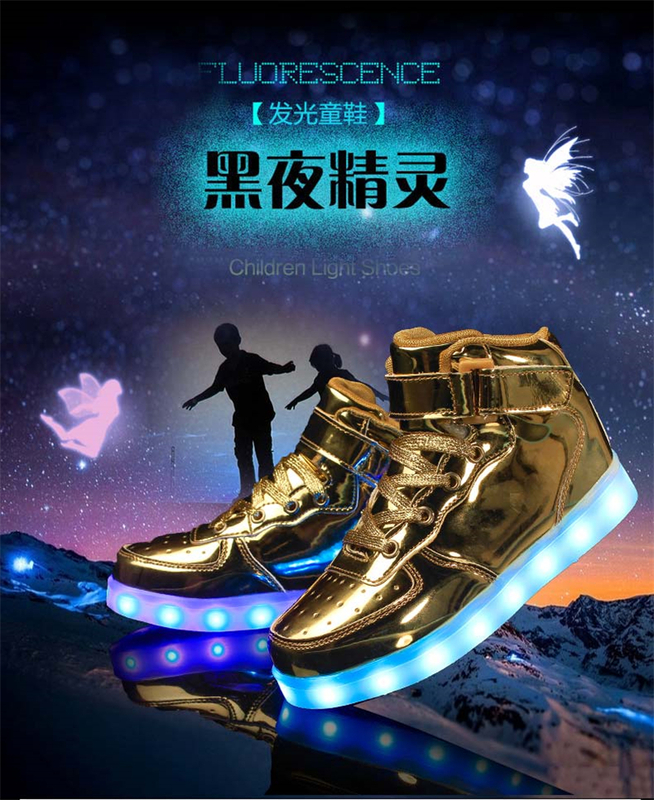 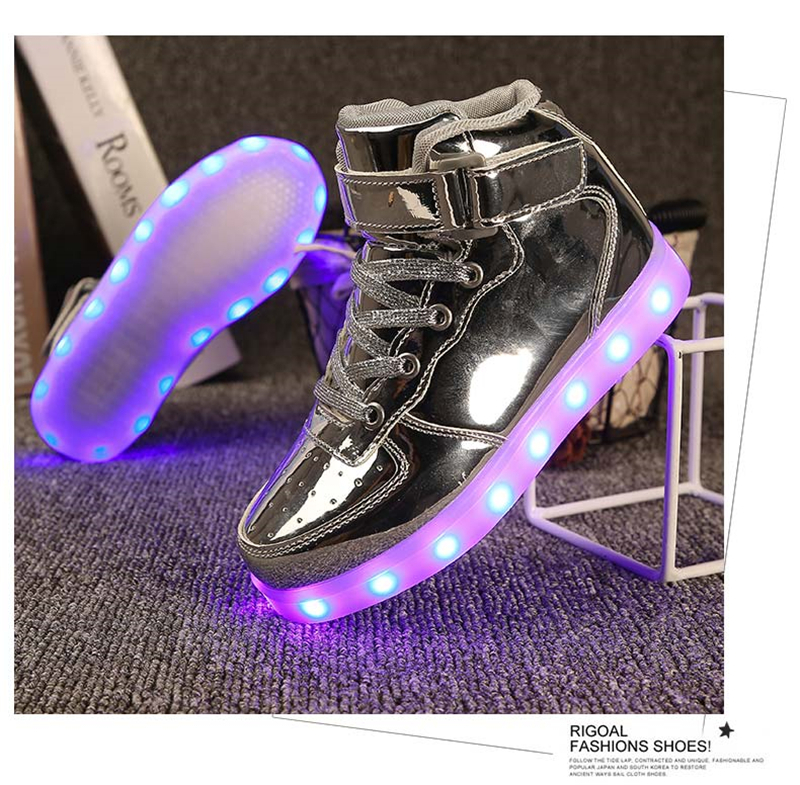 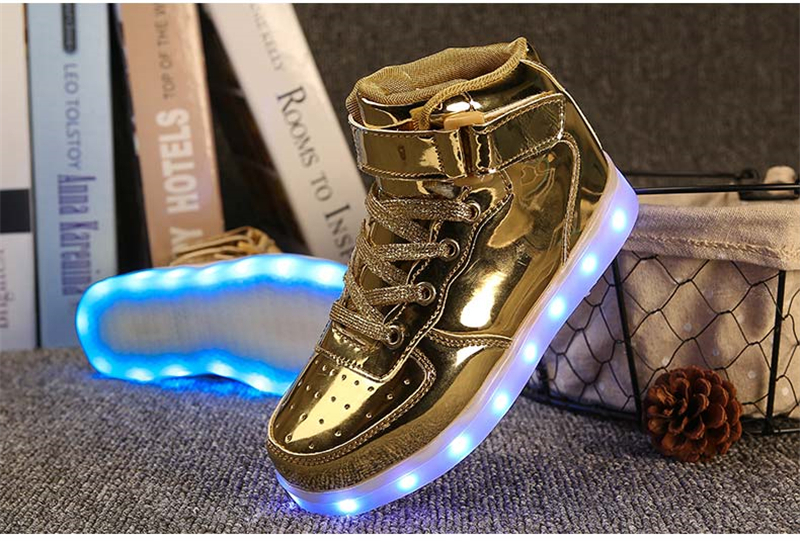 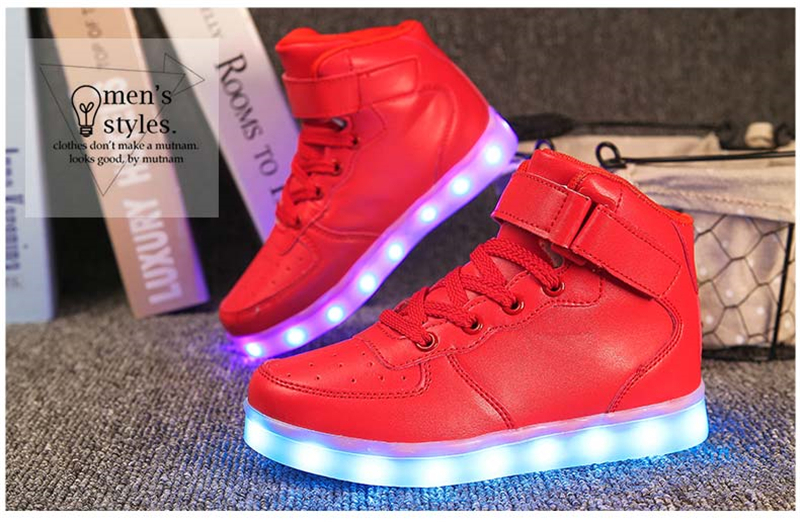 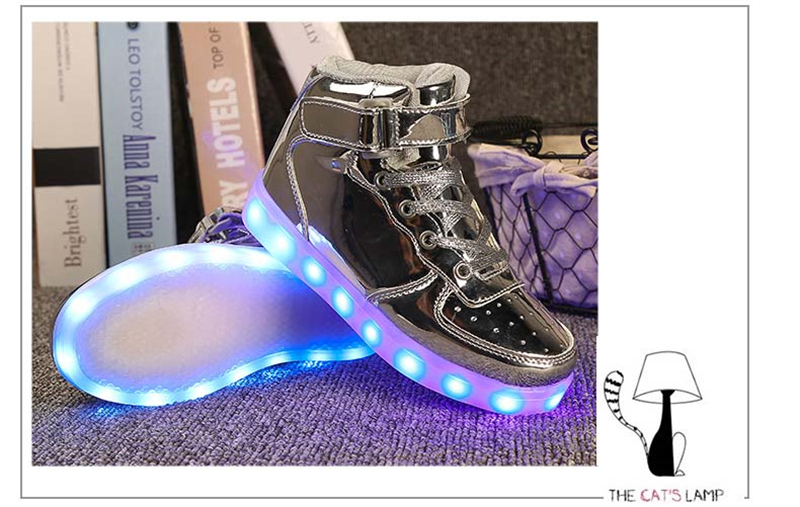 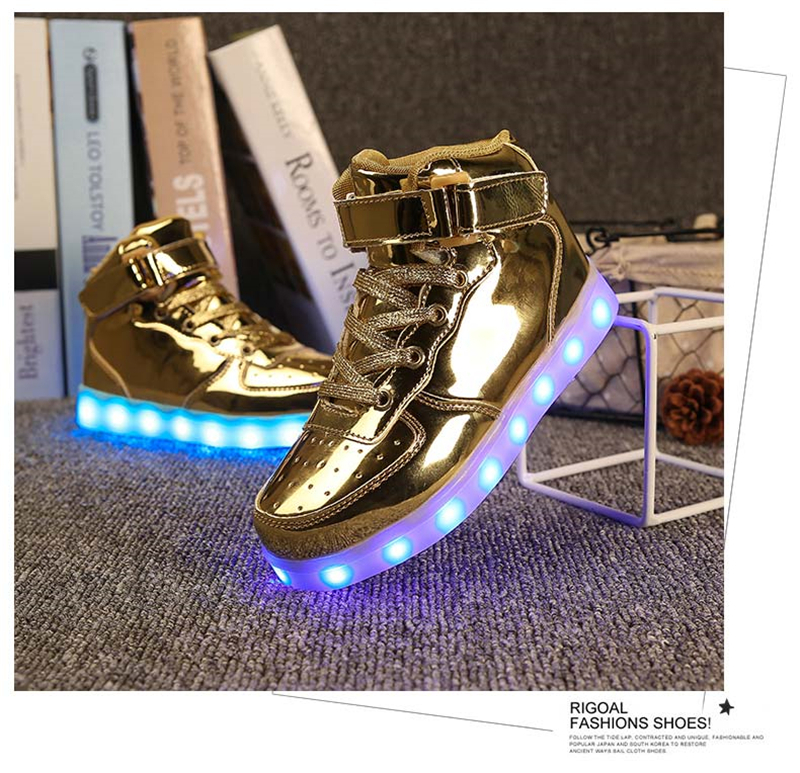 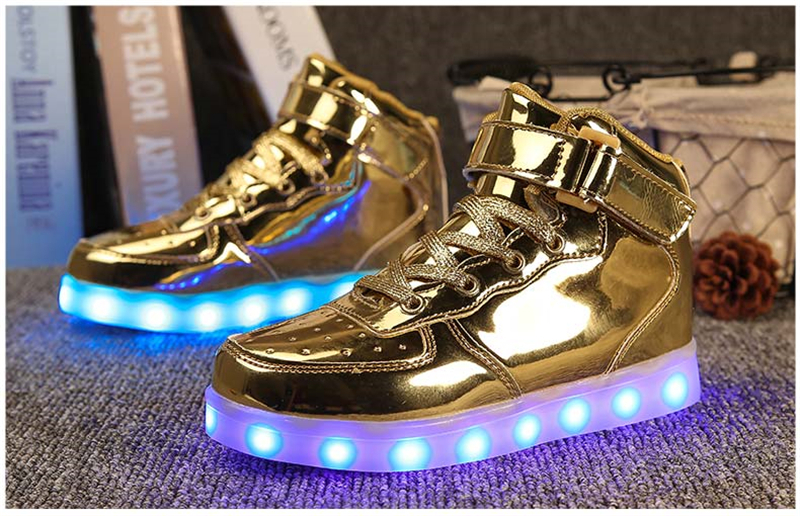 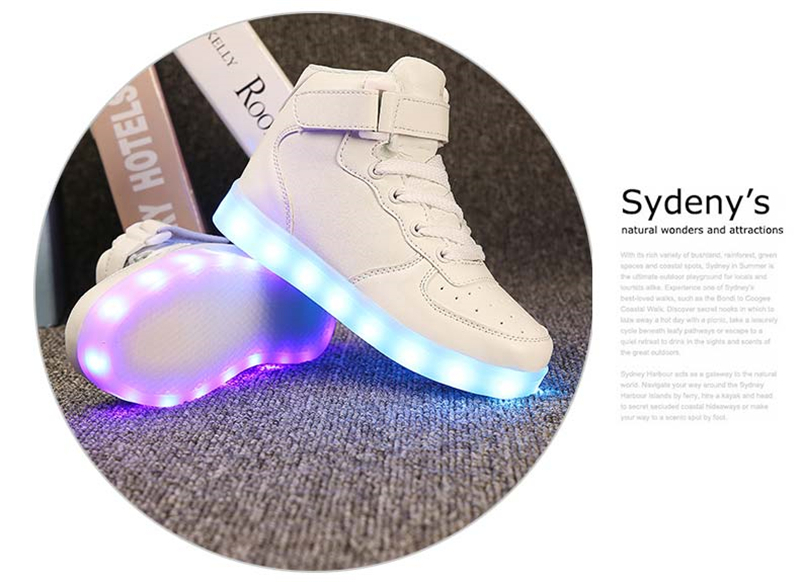 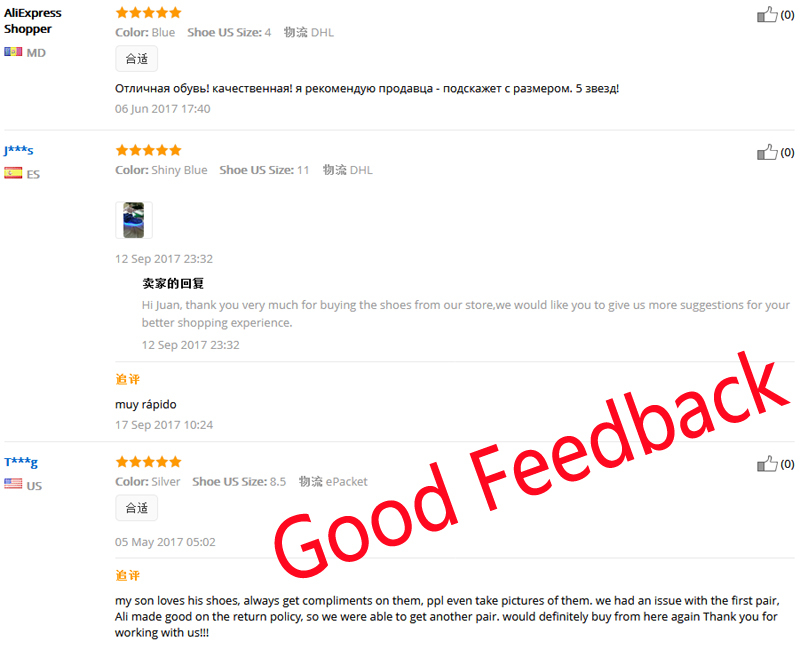 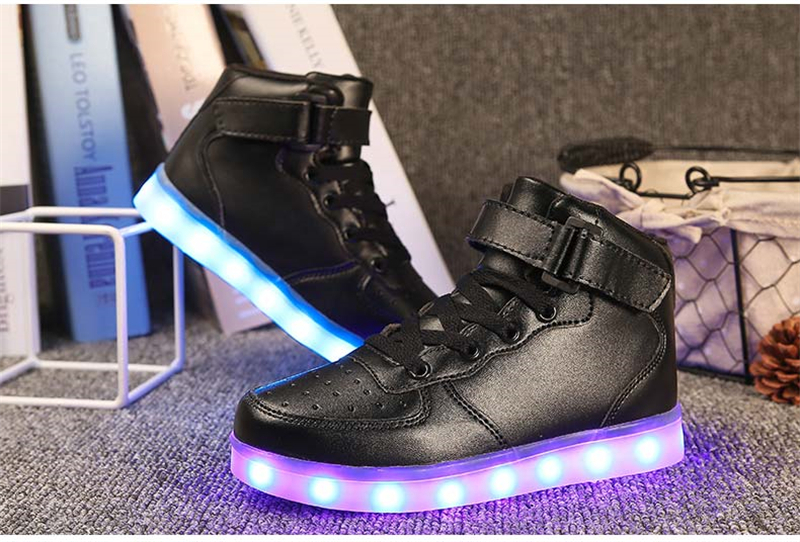 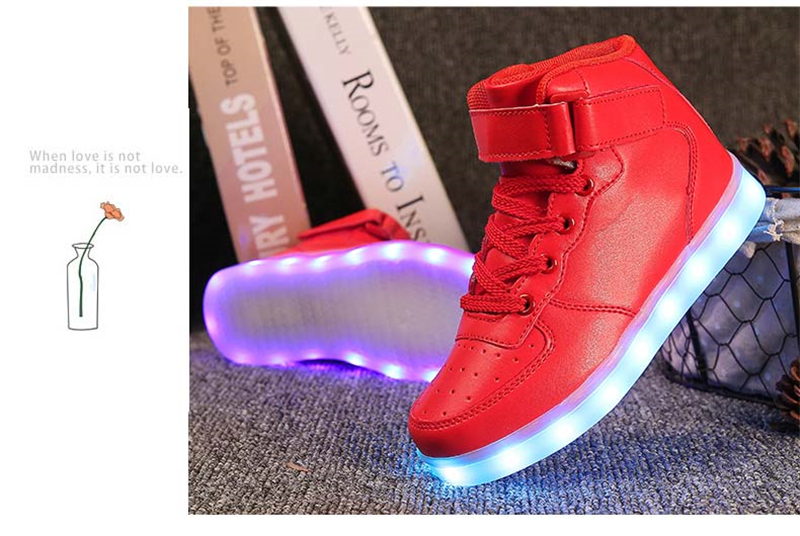 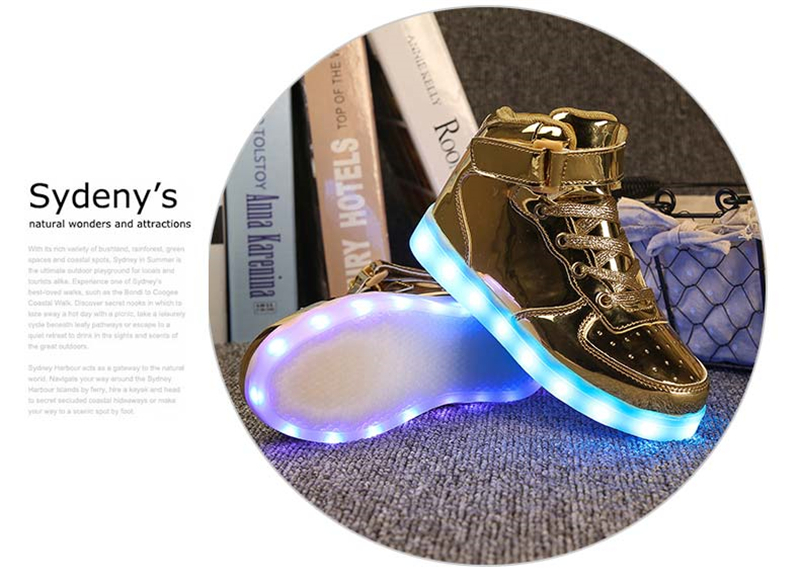 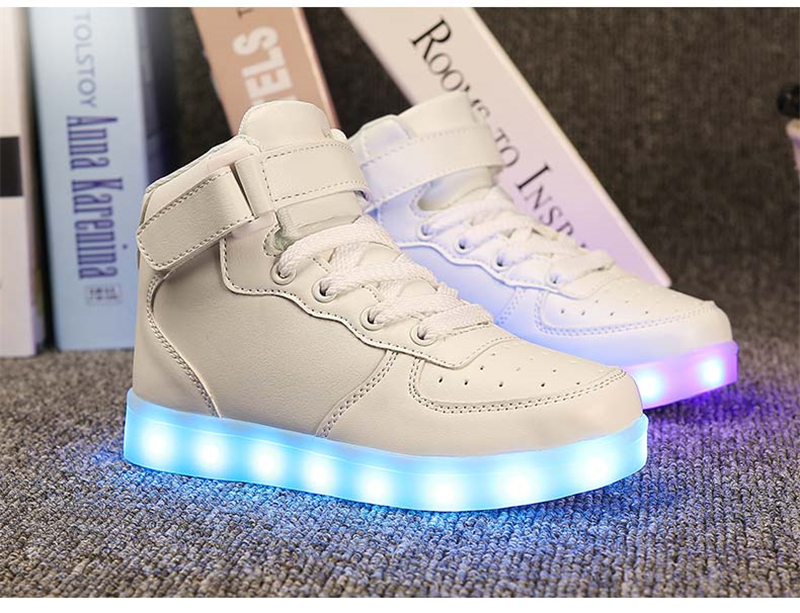 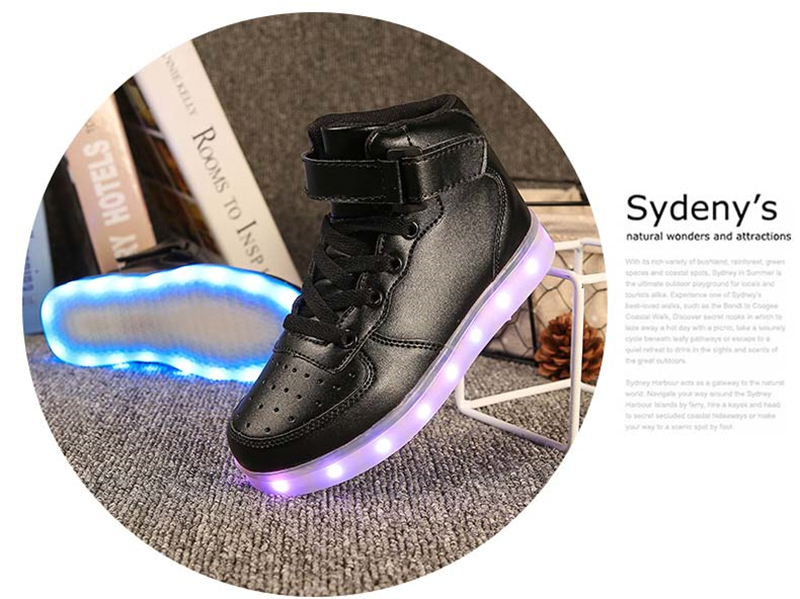 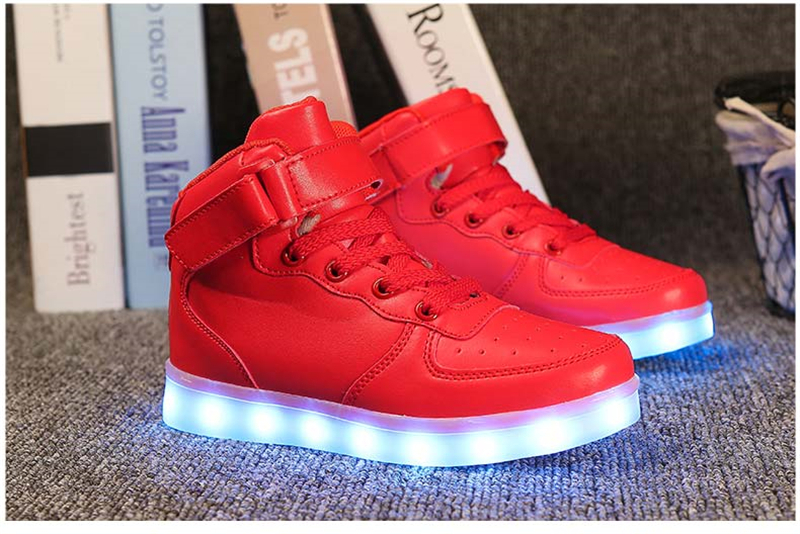 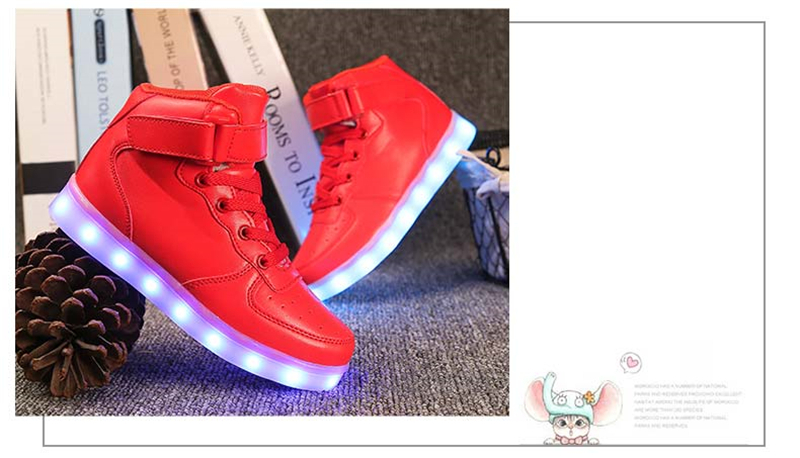 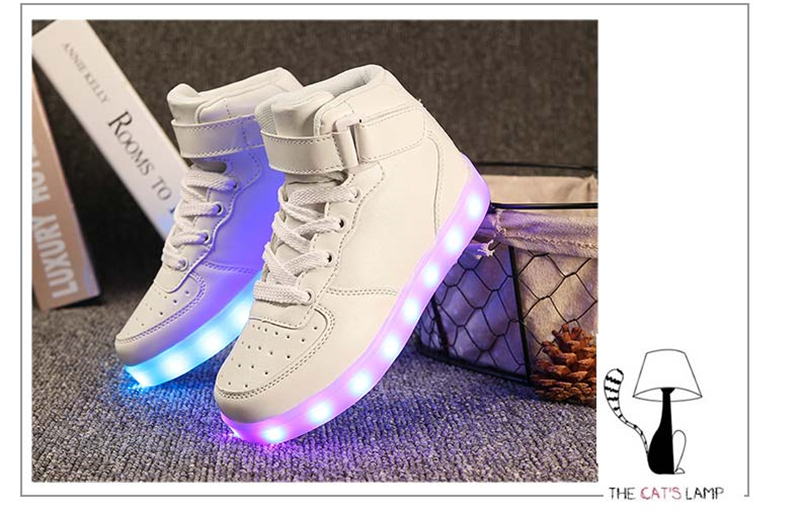 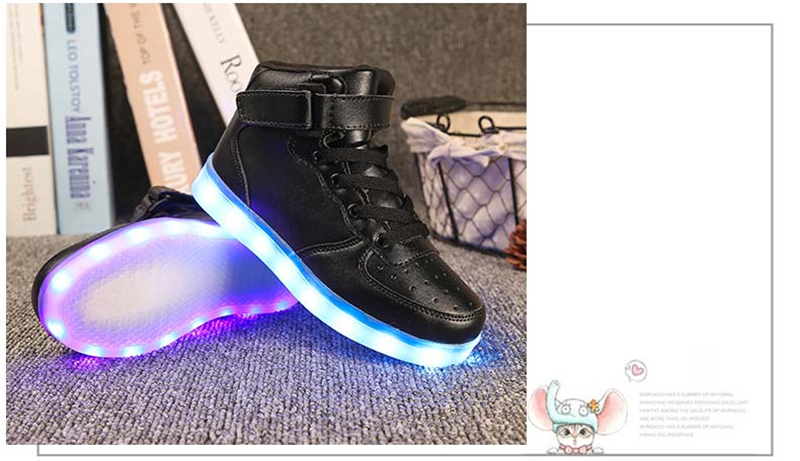 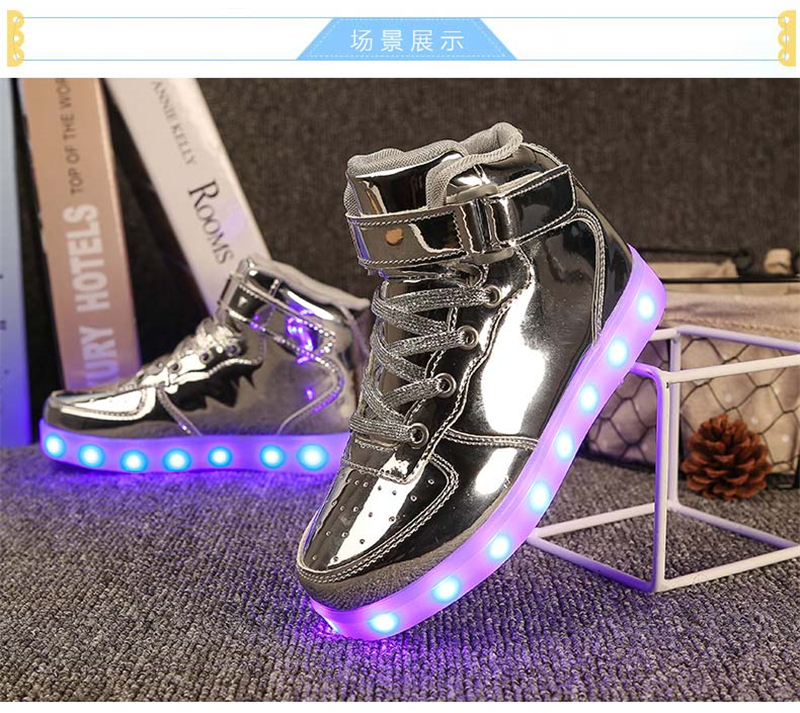 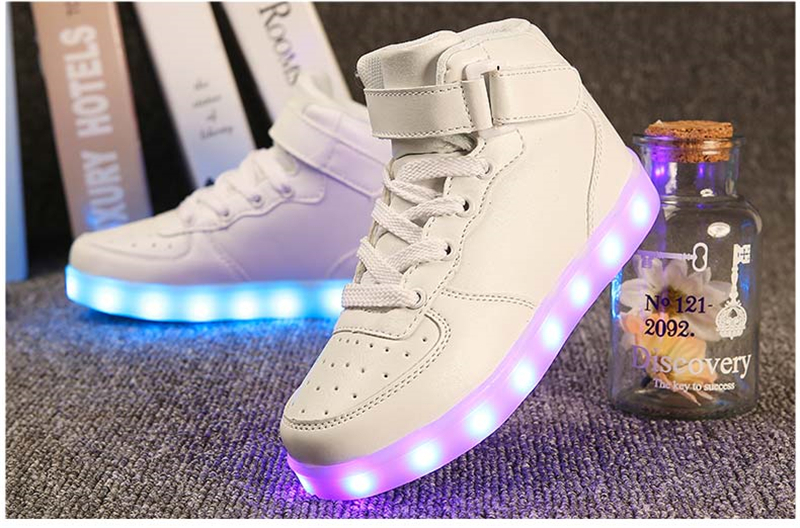 2.Charge Instruction: Easy charge like your cell phone with the attached USB charging cable.Switch on the shoes when received and light up until all power gone.Then charge both shoes for 3 hours. 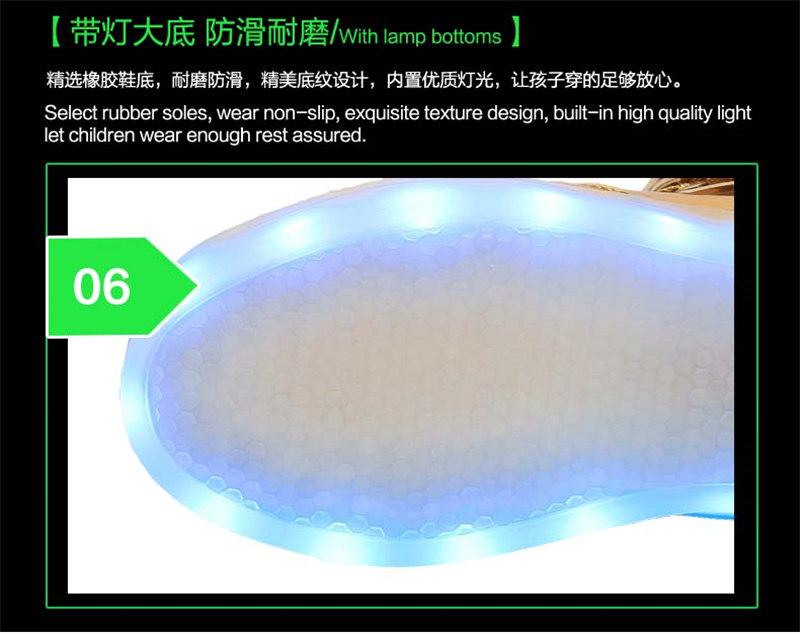 3.Light Modes: light on from 1.red(steady) -2.blue(steady) -3.green(steady) -4.purple(steady) -5. 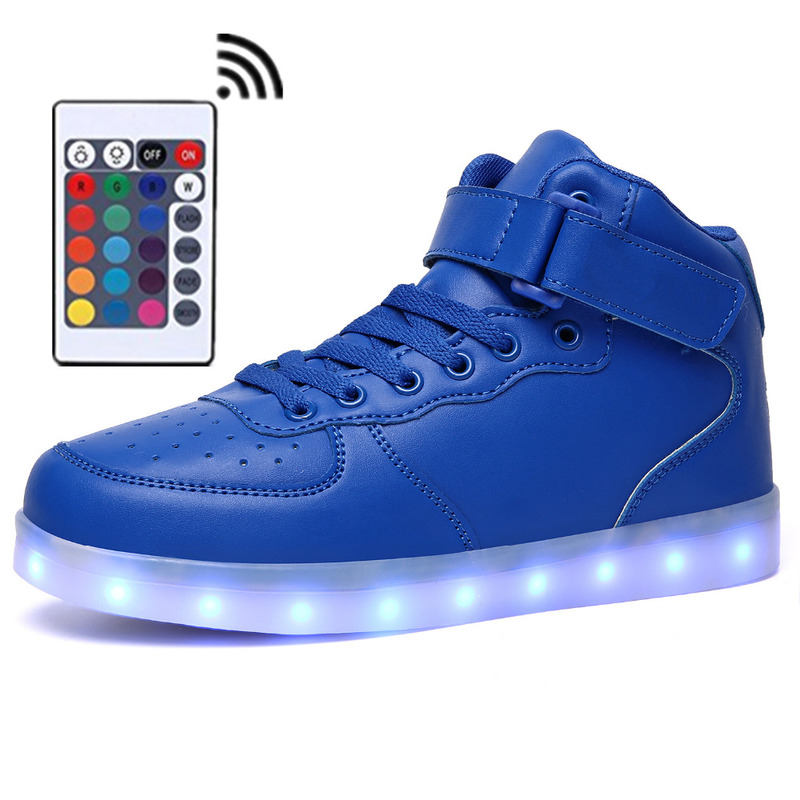 Sky blue(steady) -4.yellow(steady) -7.white(steady) -8.white(twinkle) -9.fast auto-change mode -10.slow auto-change mode -11.twinkle + auto-change mode -12.light off. 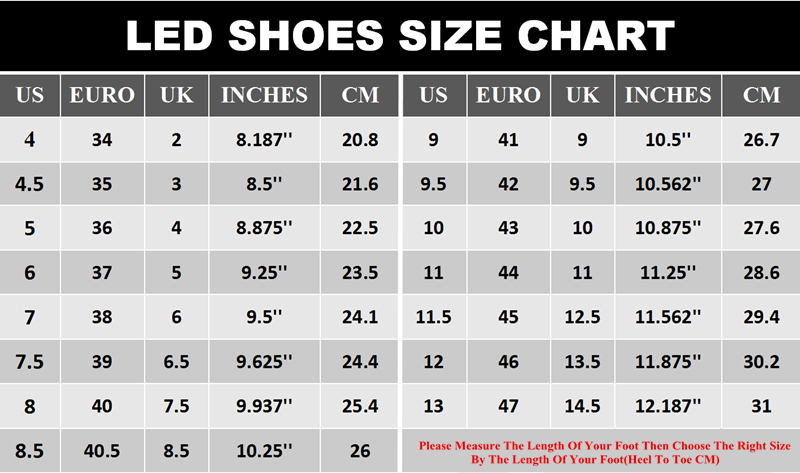 4.Size Instruction:Please refer to the following size chart. 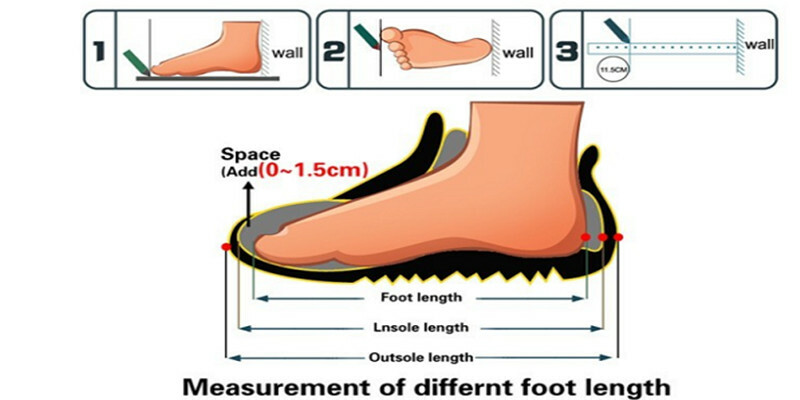 Measure your heel-to-toe length and than choose the size fit your best. 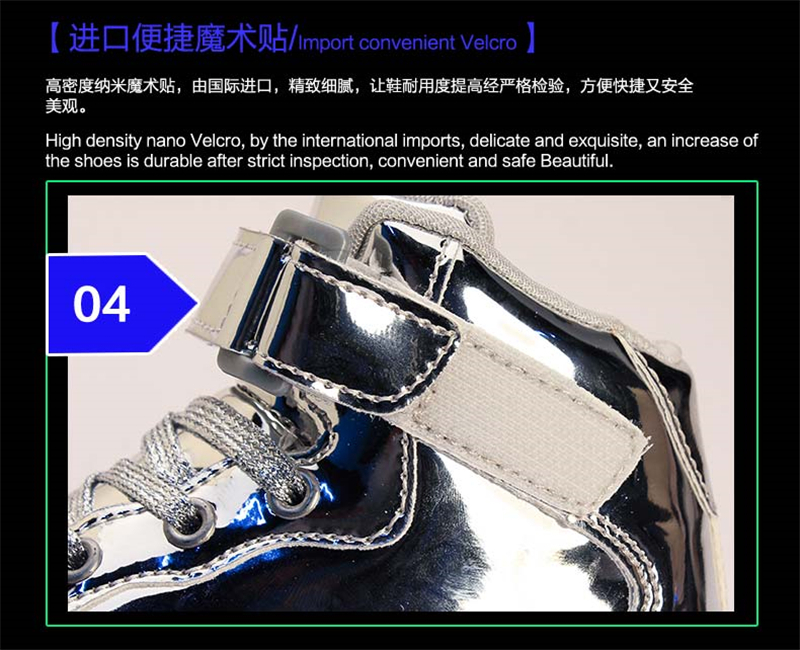 Measure heel to toe and add about 0.5-1cm. 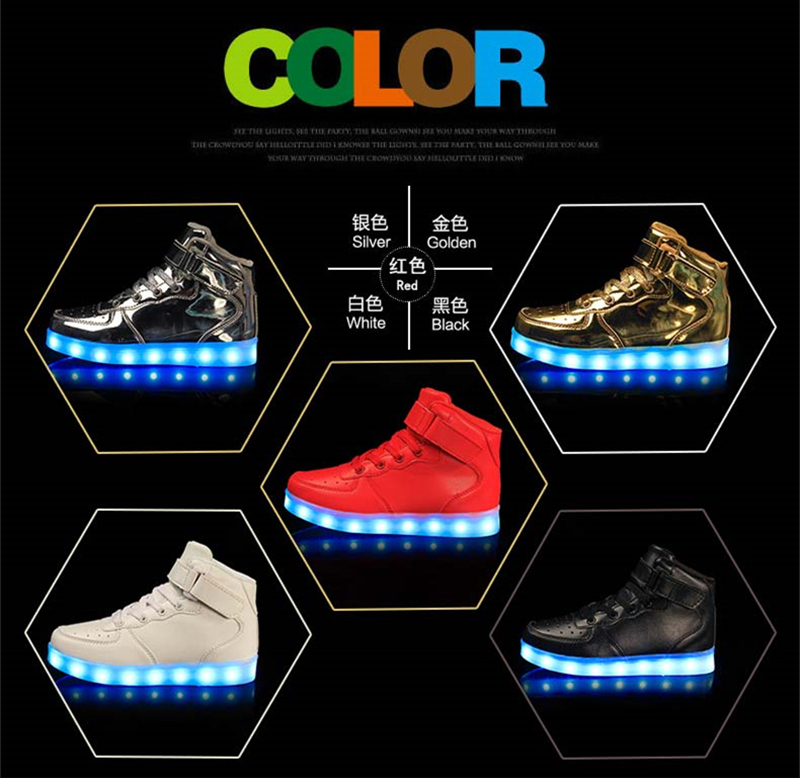 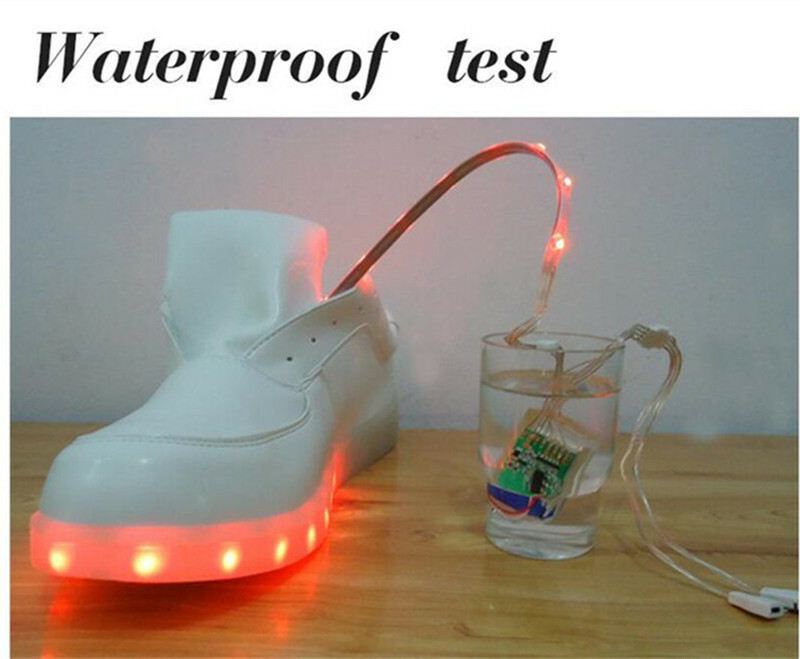 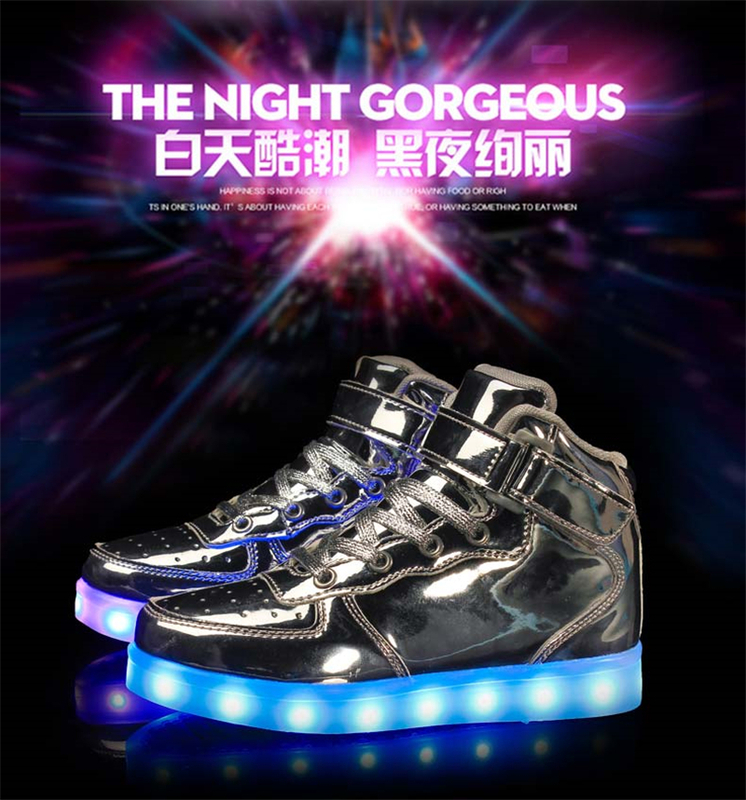 For example:Heel to toe is 23.5 cm,Pls choose size 24.1 cm(US size 7) in the following led shoes size chart.